Here's a quick and easy one with a fun tip! The base here is Tranquil Tide 8 1/2" x 5 1/2", score at 4 1/4"
Add a 1 3/4" strip of Merry Merlot and a 1 1/2" strip of Joyous Noel DSP. Now for the rings... use your Stitched Shapes and Layering Circles to create the fun medallion look on here. 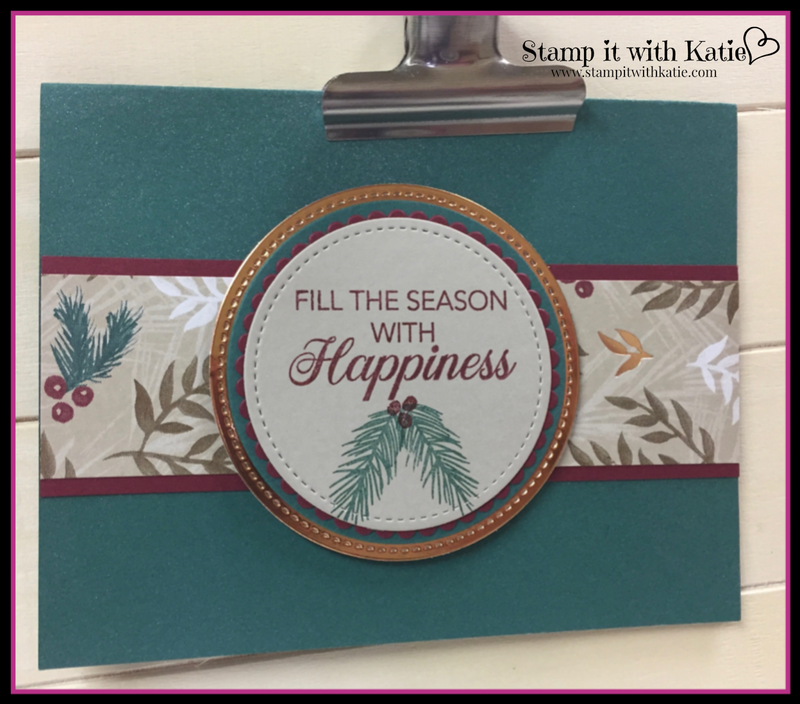 Stamp using coordinating ink colors and the Peaceful Noel stamp set. 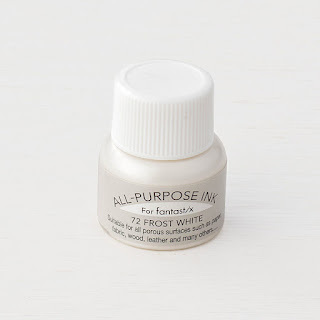 Add a few drops of Frost White Shimmer Paint (147046, $8.00) to a small spray bottle of alcohol and shake up, then spray all over your card front! What a beautiful shimmer on your card and maybe your table or hands, but so worth it! Set it aside and let it dry before you continue.